Yes, even bats are considered pests. Why? Would you like a family of them flapping around the attic and swooping down on you when you least expect it? They are certainly not the type of house guests that you would want literally hanging around. Before you look for ways to get rid of bats hanging around your home, it’s important to know what you’re up against prior to doing so. Bats are the only species of mammal that is capable of true flight. The creatures are nocturnal, which means that they only hunt at night. No, they won’t carry the family cat off. Bats only eat insects but that doesn’t make them any less annoying. They use a fascinating echolocation system that allows them to locate their food in the dark. Bats also use the echolocation system to communicate with each other through a series of high-pitched noises. 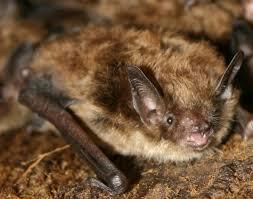 There might be as much as 45 bat species in existence; however, only the colonizing variety is known to invade attics. The warm and dry atmosphere of these particular areas is perfect for them to raise their pups. Aside from that, the enclosed and elevated area also offers them perfect protection from predators. They also go out to hunt in shifts rather than fly off together. These creatures are appropriately named. However, there is nothing little about the havoc they can cause in a home. 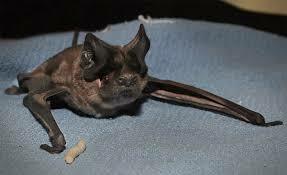 Their ears are also small and the bat themselves weigh no more than 5 or 14kg. Their wingspan can grow to 222 or 269mm. Little brown bats can be golden brown, dark brown or black in color. The fur on their back is darker than the fur on their belly. The wings or membranes between them have no hair. These are obviously larger than their smaller counterparts and can grow to 110 to 130mm in length. Big brown bats also have a wingspan of 330mm. Their sharp teeth enable them to bite down hard on larger insects. In addition, they do not have any fur on their faces, ears, wings and tails. These creatures are highly adaptable and can thrive in a variety of habitats such as forested areas, as well as along streets. ay in color. The pests also weigh no more than 0.4 ounces. This particular species of bat also happens to be extremely fast in flight. Mexican free-tailed bats can also live longer than your average pest. The females can live for 18 years while their male counterparts can live for 13 years. Most bats like to live in caves. However, a warm attic or basement with a broken window will do just as well, especially during winters. The furry creatures nurse their young and like to reside anywhere warm. They may be warm-blooded and furry, but you don’t want them in your home. Sure, they might not necessarily try to get in your pantry, like the average rat, but that doesn’t make them any less of a nuisance. They carry diseases – Even a single infected bat in a colony of 25 should be a cause for concern. They can carry diseases such as rabies. The disease can be transmitted even by a tiny bite. Their droppings are toxic – A colony of bats can leave tons of droppings where they live. Bat guano (droppings) can accumulate in your eaves or attic. 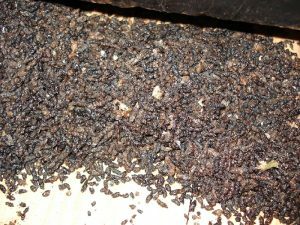 You don’t want something like that happening during winter, when the pest spends most of their nights indoors. Histoplasmosis. The disease can turn deadly if it affects a person who already suffers from another condition like cancer. The guano also attracts other pests or insects. In other words, the rats, cockroaches, and other sorts of creepy crawly might be having a house party upstairs without you knowing it. Homeowners are highly capable of detecting the presence of bats in their homes through various ways. As a bat finds its way in a house, oil is deposited from their fur. The oil usually results in stains – often black or brown in nature. Noise is also a factor to watch out for. Due to their rigorous activities, you might hear them scurrying around. Subsequently, a more frontal detection method is their droppings. You’ll find those lingering around the infested area. Seeing is believing. With an infestation on-hand, you’re bound to catch them hanging out. If you find a bat in your house, don’t make the mistake of assuming that there won’t be a colony of the pests roosting nearby. They might have decided to make your attic their new winter home. Some states have completely banned the extermination of bats even if they end up invading homes. Four of the species is considered to be endangered so this doesn’t come as a surprise. However, it is definitely inconvenient for the homeowner who has to deal with them. Most do it yourself remedies are either illegal or ineffective. That is a pretty tall order, and is not something that an average homeowner is equipped to handle. In other words, it is always a good idea to have a pest control service that is experienced in handling wild animals such as bats to do the job. They would also know the most humane techniques to use to effectively get rid of the problem. There are also no registered pesticides for bat control. However, you can prevent them from entering your home in the first place by sealing any entry points that they might use to infiltrate your home. Make sure that you do so immediately; especially if you have just moved into a new home and heard the neighbors complain about their “batty” problem. For example, you can close your windows with a wire mesh. Any opening that is ¼ inch wide is an open invitation to most species of bats. Never try to get rid of a bat infestation yourself. Remember, it takes a tiny bite for a bat to transmit disease. If you absolutely have to handle one of them, make sure that you wear thick gloves when doing so. A plastic container or net would also come in handy in trapping it.